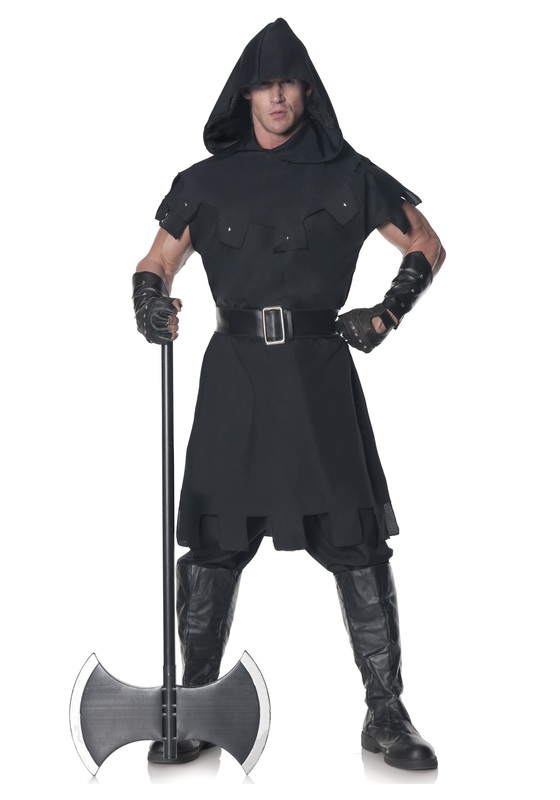 Look, we get it - you didn’t choose the executioner life, the executioner life chose you. You didn’t grow up thinking, “Man, when I get older, I wanna chop people’s heads off for a living!”, but you just happened to be real handy with an ax, have a steady hand, and possess enough muscle to sever a neck with one swing. Those qualities on their own would have made you a valuable employee at any other number of various professions, but all three? When duty calls, sir, it is your duty to answer the call! Is it an honor to be the King’s Executioner? Sure - he’s the King! A perk of the job is that no else wants to do it, so you get paid handsomely to end people’s lives, and the king is rather kill-happy, so there’s lots of job stability. And, you’re made to wear a face-covering hood while you’re beheading traitors, ex-wives, and potential heirs to the throne, so there’s none of that pesky “So, a little feedback on your performance yesterday” or awkward “You killed our father!” convos during cocktail parties or street festivals. The only real drawback is having to deal with the consequences of knowing that your job is to be a symbol of terror and murder while serving your purpose of killing hundreds of potentially-innocent people at the pleasure of the King. But hey, that’s what mead and ale is for, right?! But at least you can do all of that in royal style with this Men's Executioner Costume! Made of 100% polyester poplin fabric & faux leather, it features dagged edges on the cap sleeves and the hemline of the thigh-length pullover tunic, silver-tone metal studs on the ragged edge of the hooded cowl, decorative metal studs on the faux leather wrist cuffs, and a silver-tone metal buckle on the faux leather belt. 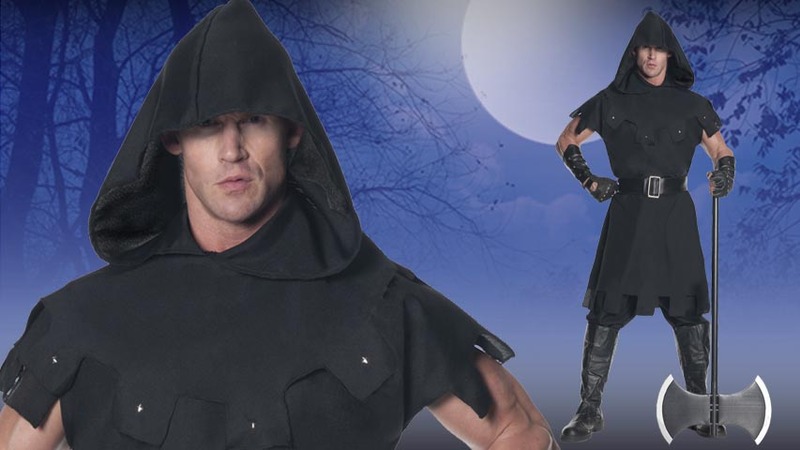 Add boots and a battle axe to this Men's Executioner Costume and you'll be the best-dressed anonyously-masked executioner in all the land!